Come and learn about how the degradation of trout streams, lakes, and wetlands associated with heavy groundwater withdrawals and irrigated agriculture is one of Wisconsin’s greatest environmental challenges. Our presenter, Mallika A. Nocco, studies the water and energy cycles in the Wisconsin Central Sands region and works closely with growers to identify and critique conservation solutions. Her research quantifies the impacts of irrigated agriculture on water quantity, quality, and climate. She targets conservation roadblocks at the farm, watershed, and regional scales using field measurements, aerial imagery, and dynamic ecosystem models to connect agricultural management decisions with their environmental outcomes. Join us for a conversation about agriculture, water, and conservation! 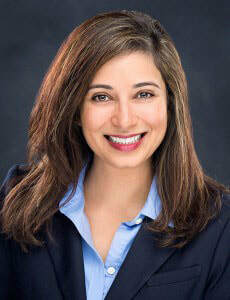 About the ​Presenter: Mallika A. Nocco, Ph.D. is a David H. Smith Conservation Research Fellow in the Department of Soil, Water, and Climate at the University of Minnesota-Twin Cities. She is a soil-plant-water scientist who focuses on irrigation and crop water use. Her path to science was unusual—she graduated with a literature degree and worked in sales before falling in love with the plants and soil in her garden. She received her M.S. in Soil Science (2012) and Ph.D. in Environment and Natural Resources (2017) from the University of Wisconsin-Madison.